As a graduate student in arts administration, professional development has become an essential opportunity to supplement my education with real-world applications. One of the most effective ways that I have found to develop my own knowledge and professional skills is learning from my peers at professional conferences. However, conferences can be an overwhelming experience for those who have never attended one. I used the following tips to ensure that I gained the most benefit from the Western Museums Association Conference as a student. Prior to attending the WMA Conference, my institution was beginning to implement an integrated pest management plan. As the graduate assistant in collections, I attended a pest management session at the WMA Conference, which gave me several new ideas to more efficiently document and analyze the risk of pests found in our institution. The risk assessment toolkit presented by the University of Alberta was especially useful for my institution because it allowed us to assess and prioritize areas of concern based on a formula that takes both pest type and infestation intensity into consideration. Although I am currently a graduate assistant in collections, I have found it quite beneficial to learn about other departmental disciplines for several reasons. First, any department in which you work will require you to interface with other departments. It is helpful to know how each department within your institution operates and interacts with each other so you can successfully collaborate on interdepartmental projects. Secondly, learning about other administrative disciplines has supplemented relative course material in my graduate program and has introduced me to additional career possibilities after I graduate. Lastly, if nothing else, it will simply make you a well-rounded museum professional. The WMA Conference provides ample opportunities to meet fellow museum professionals from your state and region. The most worthwhile relationships I made while at the WMA Conference were through an affinity group breakfast for registrars. If you are intimidated by the idea of networking, then attending a meeting or social for professionals in a similar career path is an easy way to meet people who share similar interests as you. Above all, these peers can serve as a valuable resource and provide advice and feedback as you encounter roadblocks at your own institution. If you are a student, then I would highly recommend applying for the Wanda Chin Scholarship and experience the Western Museums Association Conference. It is a fantastic way to learn how to better serve your institution and community and to explore all that the museum field has to offer. Michael is a graduate student in the Master of Fine Arts in Arts Administration program at Southern Utah University. 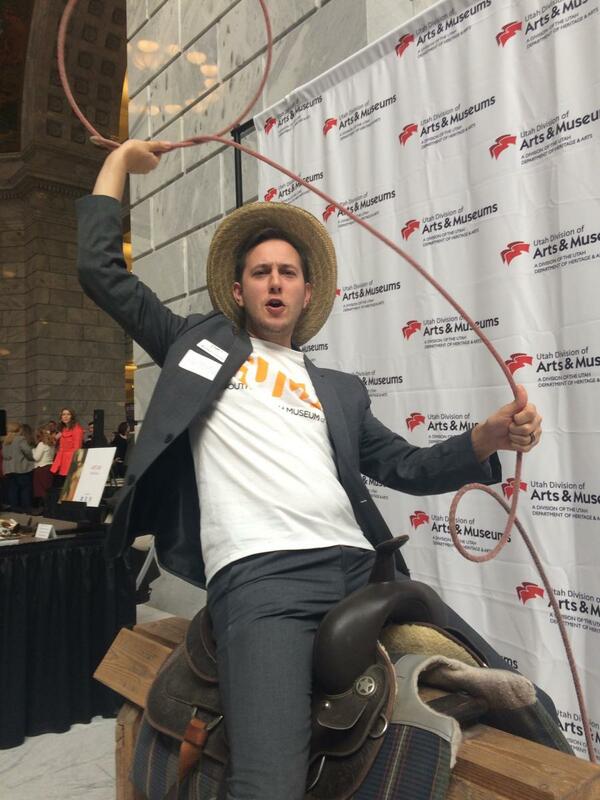 He also works as a graduate assistant in the collections department at the Southern Utah Museum of Art.